Kitchen and Residential Design: A definition of nuclear decay for Christine that's been gnawing at me all day. A definition of nuclear decay for Christine that's been gnawing at me all day. The great Christine Skaly and I were having a conversation in the comments section of one of radiation posts this morning. In addition to being the pillow maker to the stars, Christine and I are similarly cursed/ blessed with an all-encompassing need to know everything. I love having a spot on the internet where a fabric designer and a kitchen designer can discuss the finer points of nuclear physics. Seriously. I used the term Picocuries as a unit of nuclear decay in my post and Christine was using the unit Becquerel. We assumed that they were the same measurement, just different names. Well, it turns out they aren't. 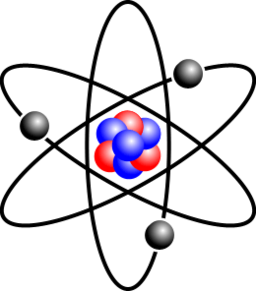 A Picocurie is a trillionth of a Curie, and a Curie is a unit of measure that describes the rate of nuclear decay of a given substance. Curies are an old-fashioned measurement though because they don't take into consideration the effect of mass on nuclear decay. Becquerels on the other hand, control for mass. Just like the Curie, a Becquerel measures nuclear decay over time. Curies are abbreviated as Ci and Becquerels are abbreviated as Bq. To convert Curies to Becquerels, you just run this equation. And with that out of the way, I can go back to doing my thing and Christine can go back to her sewing machine. By the way, if you're too lazy to do the math, here's a handy conversion table.